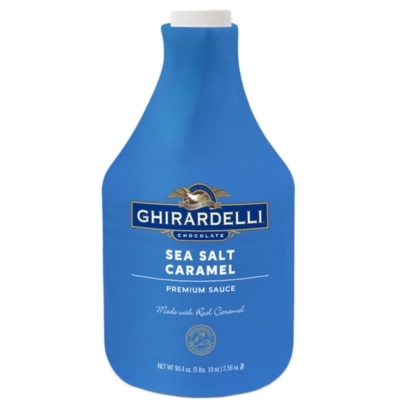 Ghirardelli's sea salt caramel flavored sauce offers a wonderfully rich, caramel flavor with a touch of real sea salt. Perfectly formulated for use in espresso-based drinks, this sauce is also great as an ice cream or dessert topping. Pump sold separately. One case = 6 bottles.